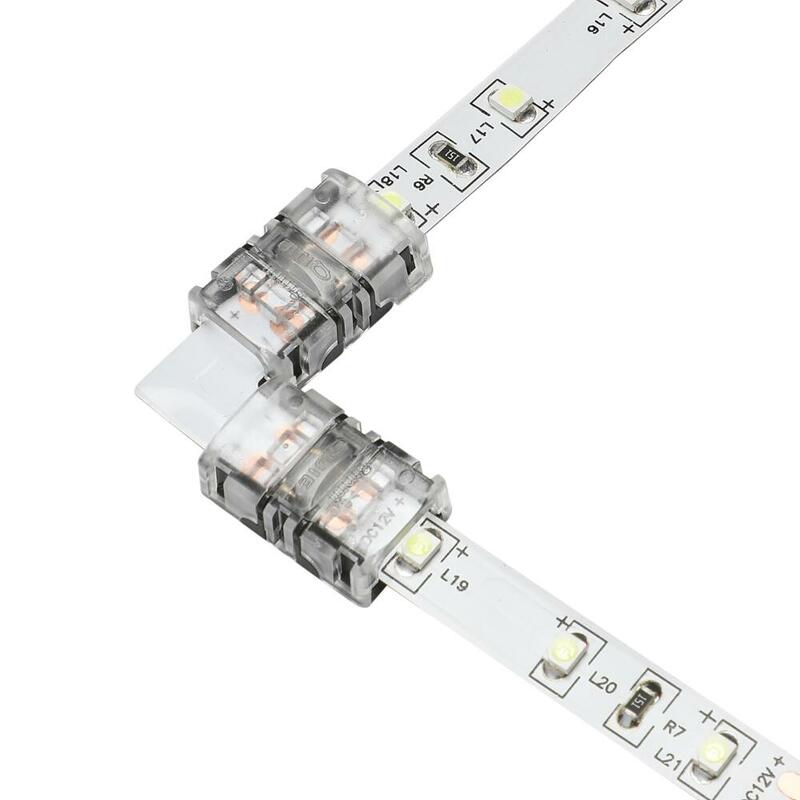 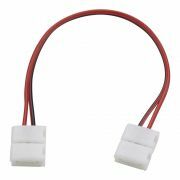 Use this l-shaped strip connector to join two single colour 3528 8mm IP20 LED strip lights together. 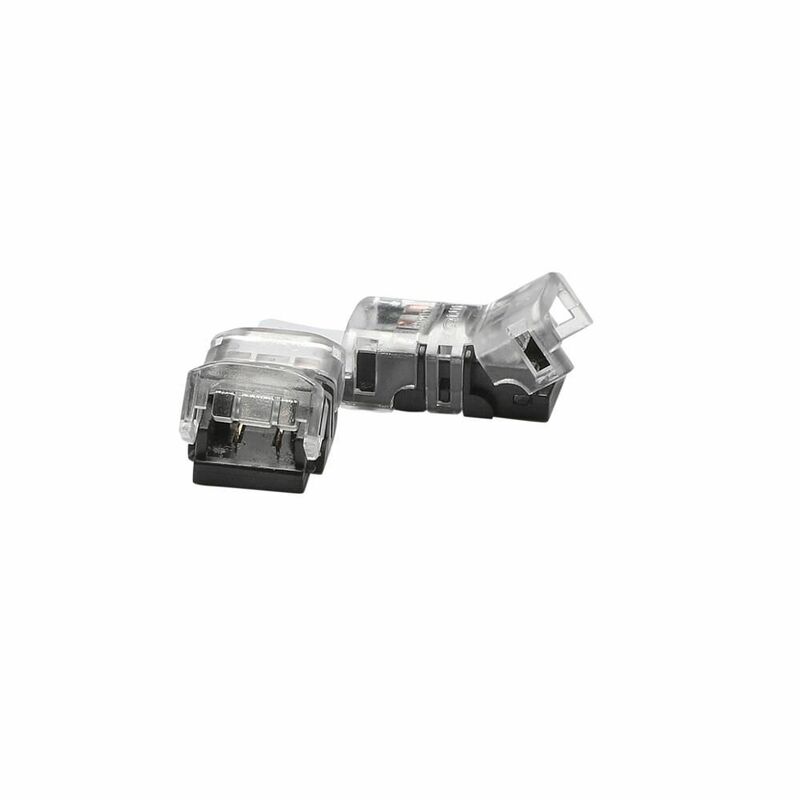 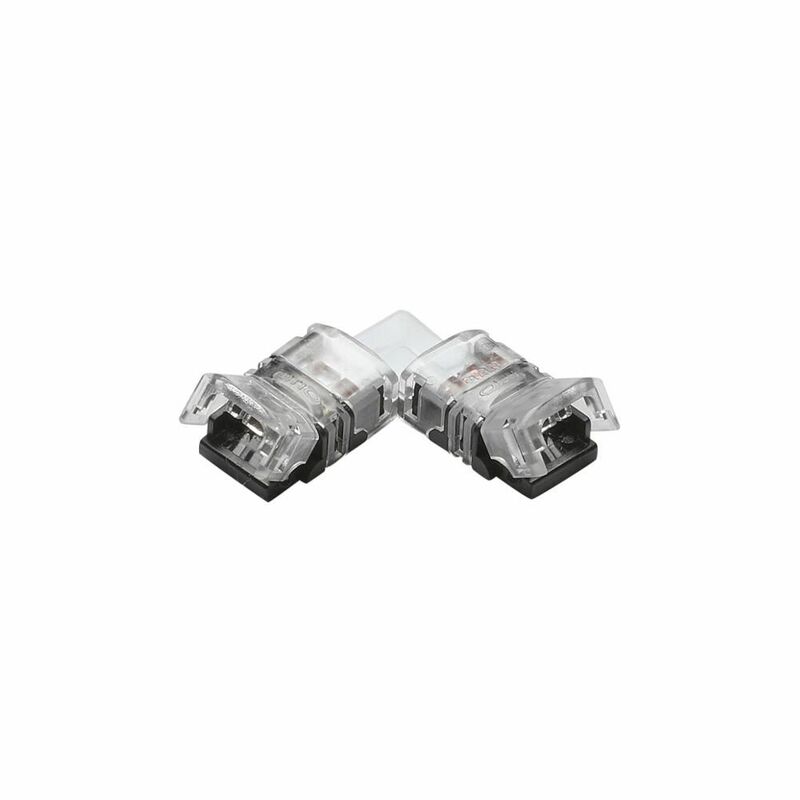 Providing an easy way to extend your LED strip lights and make a 90 degree corner, this clear polycarbonate connector features a clip mechanism for a fast and secure installation. 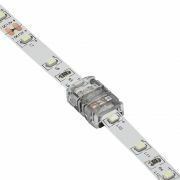 The strip connector connects to the circuit board on your strip lights - simply insert the strip light at the cutting point and press down to close shut.